The wooden folding platforms are used for works at small heights. Due to their construction material (wood), the folding platforms have a light weight, are easy to deposit and can be used in electrical installations. The folding platform is made in conformity with EA 0090 specification (ENEL Italy). 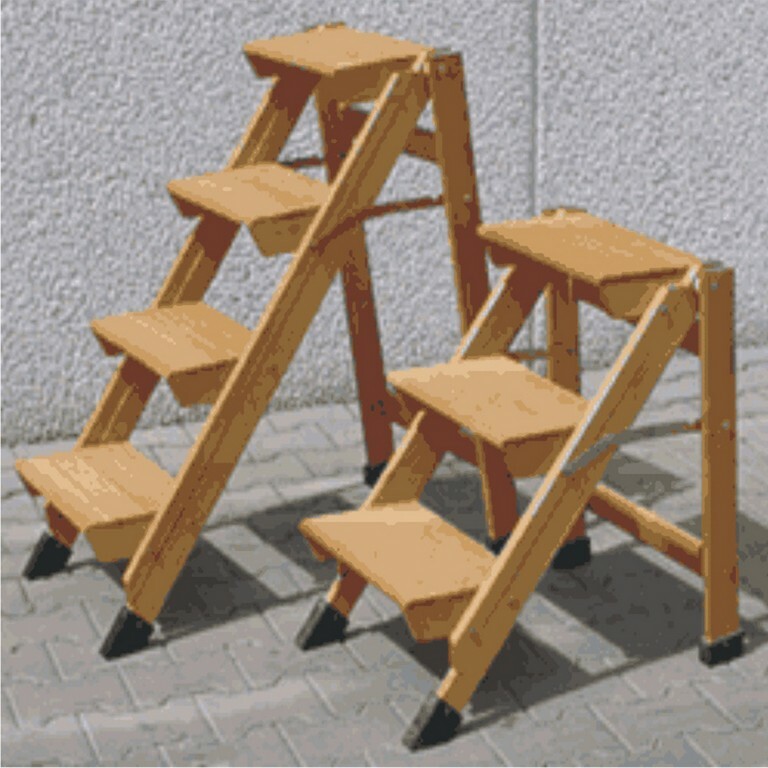 The wooden folding platforms are made in three types, depending on the number of steps (3…5).